With Half A Million Physical Shoppers Daily, FairPrice's Digital Plan Is Slowly Unravelling. In Singapore, the largest supermarket chain is probably FairPrice, which is owned and operated by the National Trade Union Congress (NTUC). For the longest time, FairPrice NTUC has enjoyed a strong dominance among neighbourhood supermarket. The supermarket chain, founded by the labour movement in 1973, has more than 120 outlets, and reportedly serves half a million shoppers every single day. As we move into an age of digitization, we are all too familiar with new online grocery shopping sites in Singapore, with some claiming that Redmart was the one that popularized the concept. That has some truth in it – launched back in August 2011, Redmart received a lot of publicity all thanks to the rise of online publications back then, with social media amplifying all the articles. What most of us might not be aware is that, FairPrice has already established an online presence since 2002. Whether or not the team has done a good job on its online presence is another topic, but since its launch, FairPrice Online has amassed some 200,000 subscribers, and according to the team, it is popular with working adults and those with busy lifestyles who are always on the go. 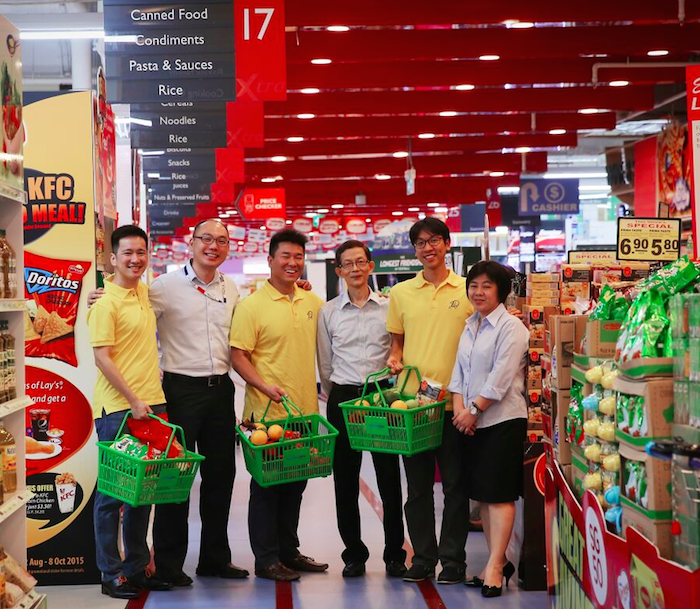 Mr Dominic Ng, Deputy General Manager (Online) for FairPrice Online told Vulcan Post that recently, FairPrice Online has also become popular with shoppers who wish to order groceries for their aging parents. “This saves them from having to shop at the store or carry bulky or heavy items,” shared Dominic. Dominic shared some of the statistics with us too: the popular items that shoppers buy online includes milk powder, diapers, rice, soft drinks, coffee and various paper products. “We have also found the earlier half of the week in general to be the most popular days for online shoppers,” Dominic added. While FairPrice NTUC has been in a constant battle with arch-rival Seng Siong to attract more foot traffic, digital has always been at the back of the mind for FairPrice too. This is evident when the team phased out their website and introduce a new facelift to their website back in 2014. “To provide a more seamless experience for our increasingly tech-savvy and time-stretched customers, we refreshed our web portal in 2014 and launched an improved version of the FairPrice Online App for both iOS and Android devices last year,” Dominic told Vulcan Post. 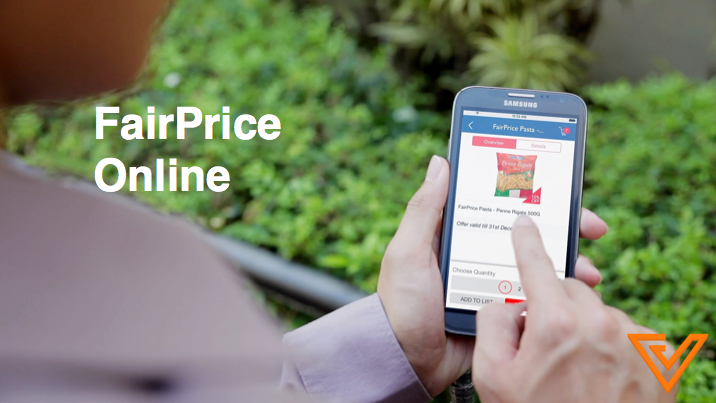 While FairPrice did not disclose how many orders are they processing on the website now, the team shared that close to 20% of the online orders have been made from the mobile app while the remaining are made from the desktop FairPrice Online site. On top of that too, in 2014, FairPrice Online introduced Click&Collect which allows shoppers the option to self-collect their online purchases from a convenient location. Undeniably, FairPrice is competing against other players such as RedMart in the online arena, a vertical that it might not be that strong in. RedMart received a lot of financial support, as well as hiring talented Internet veterans who joined in their quest to dominate the online grocery site in Singapore over the past few years. Some of the notable name on Redmart’s advisory board include Jason Ackerman, CEO of Fresh Direct, which is one of the largest online grocer in the States, Boon Ling Yee, former commercial director of TESCO China, Serguei Netessine, Professor of supply chain and logistics at INSEAD, among others. For FairPrice, they have recently partnered with Honestbee for their grocery concierge service, in which a customer can place an order through the Honestbee website for FairPrice groceries. “A personal shopper from Honestbee will pick out the items and deliver them to the customer within the hour. These innovations all serve to provide the shopper with a better platform and more options to shop convenient amidst the competitive retail market in Singapore,” Dominic told Vulcan Post. While FairPrice Online did not give any comments on Redmart, it seems to us that FairPrice Online is levaraging on Honestbee to extend the same convenience and mobility to its customer base, which would otherwise turn to Redmart for the experience. Ultimately, while we are increasingly seeing every aspect of our daily lives digitizing, a large part of FairPrice’s revenue still comes from its half a million physical shoppers everyday. FairPrice Online only serves to complement and complete the customer experience – albeit a small segment of the whole FairPrice customer base. 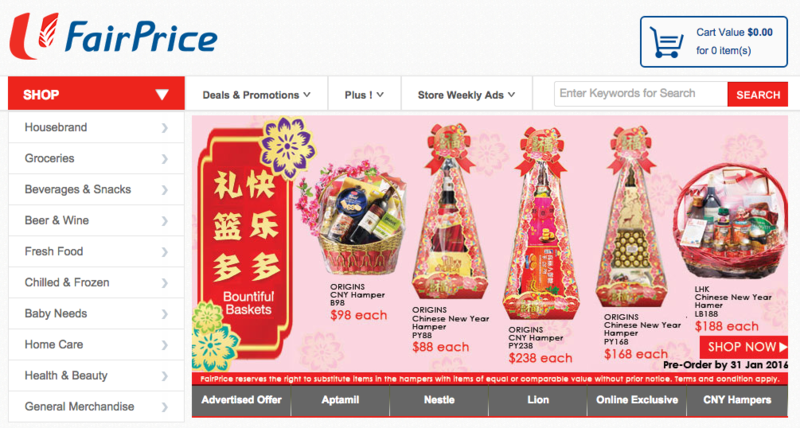 Will we see half a million shoppers on FairPrice Online daily one day? Perhaps soon, but that day is definitely not today.